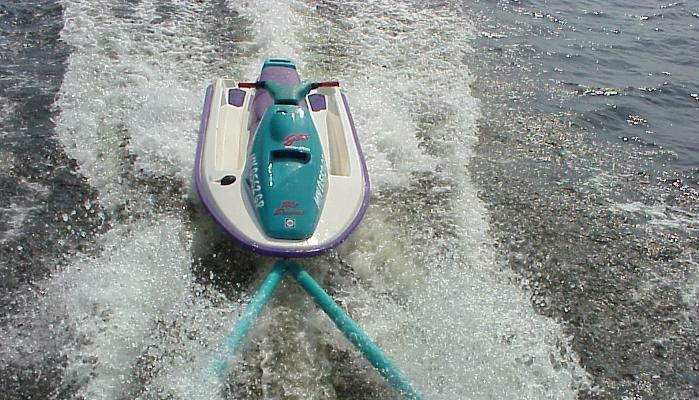 The TOWDSTER may be used several different ways. 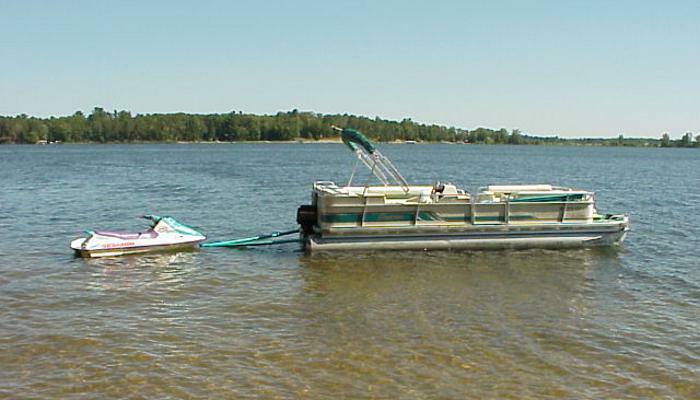 For example: If you only want to tow one personal watercraft or small boat you may do so in a couple of different ways. 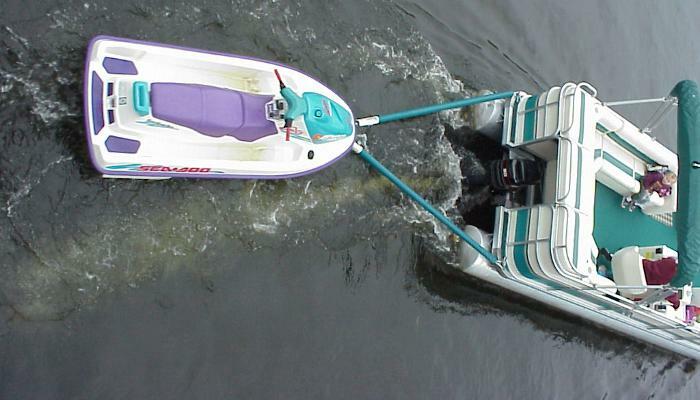 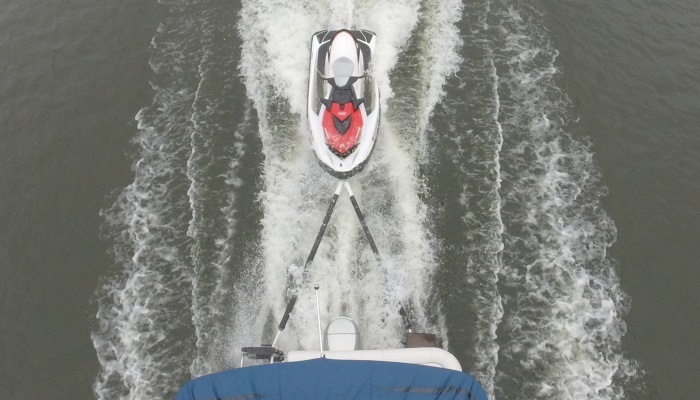 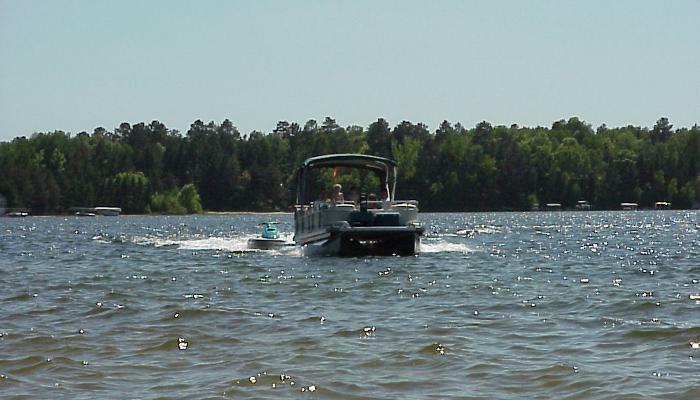 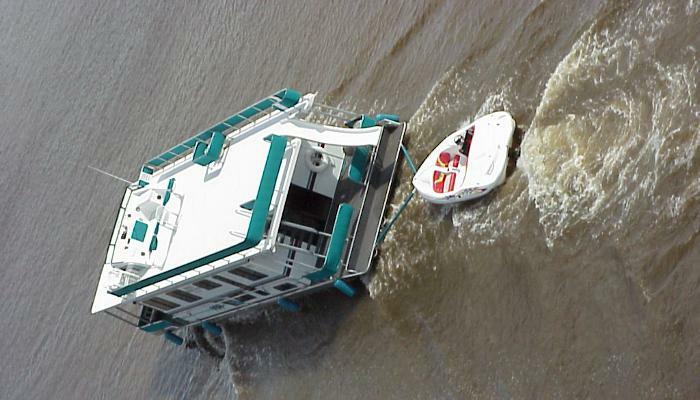 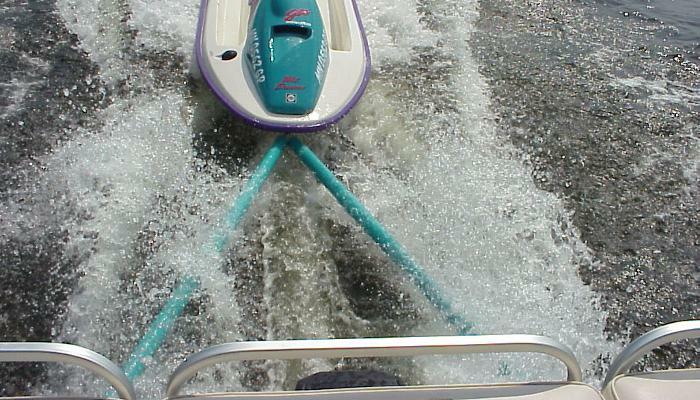 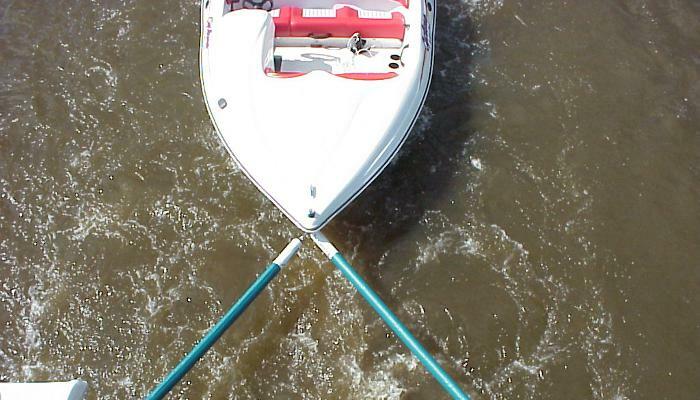 By using one TOWDSTER connected to the towing eye or by using two TOWDSTERS connected to the towing eyes on either side of the back of the towing watercraft to form a "V" configuration to keep the personal watercraft or small boat centered. 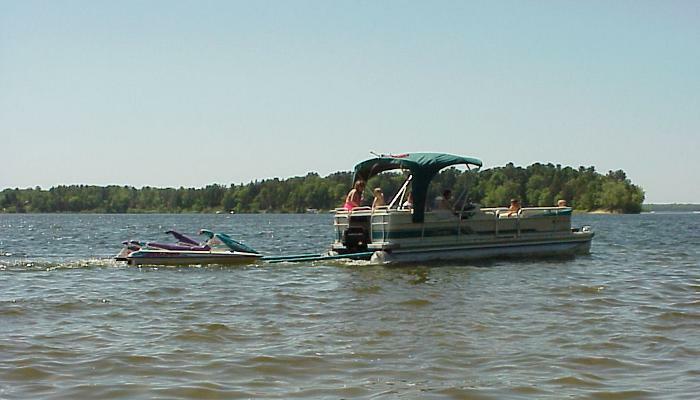 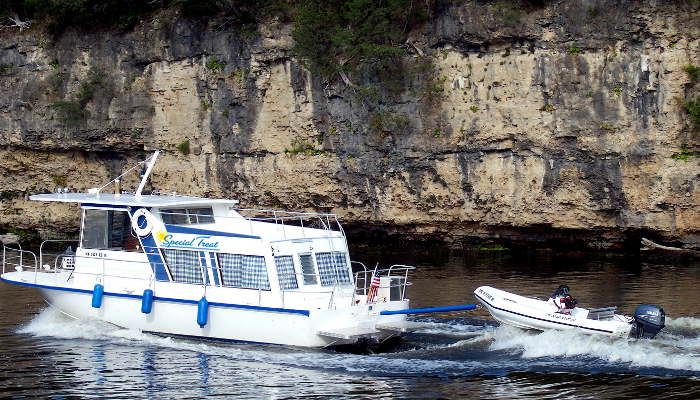 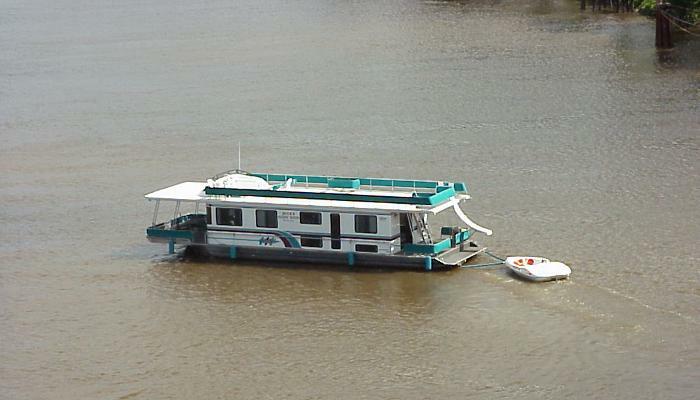 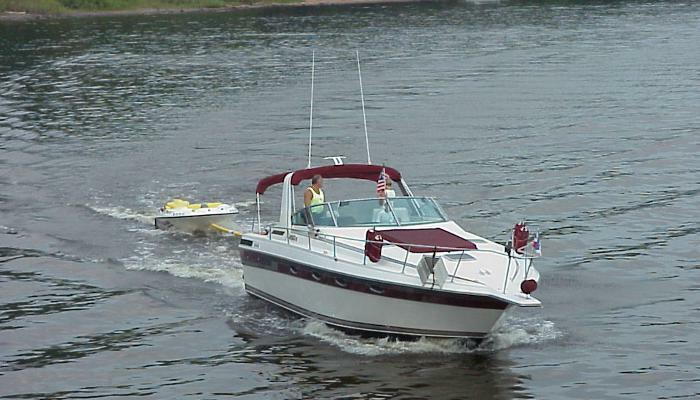 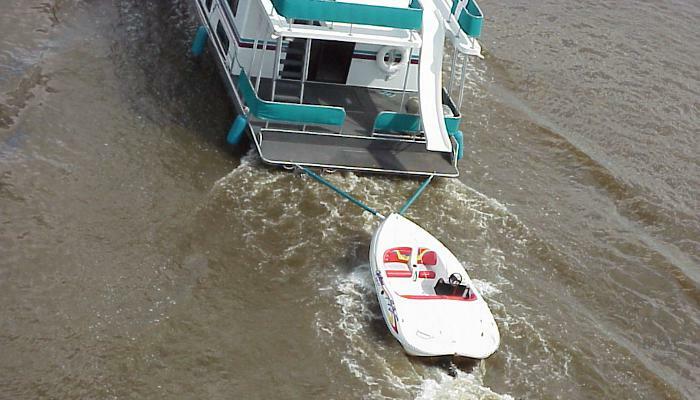 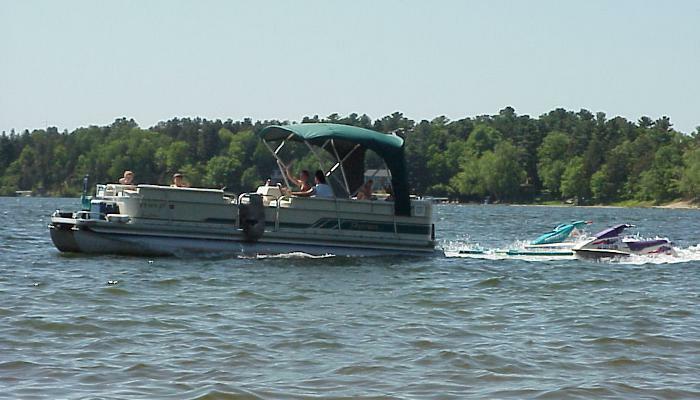 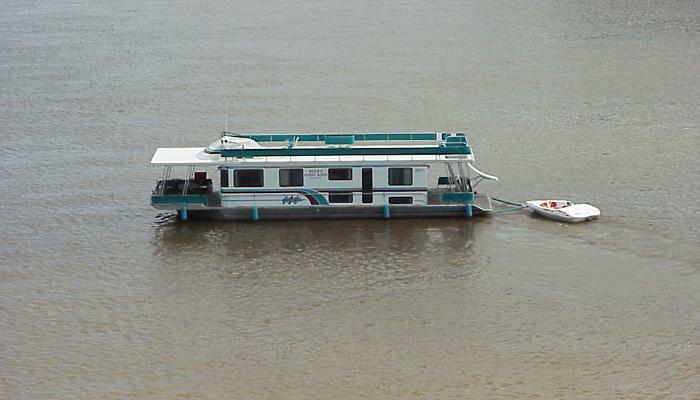 You may also tow two watercrafts at a time as seen in the above example. 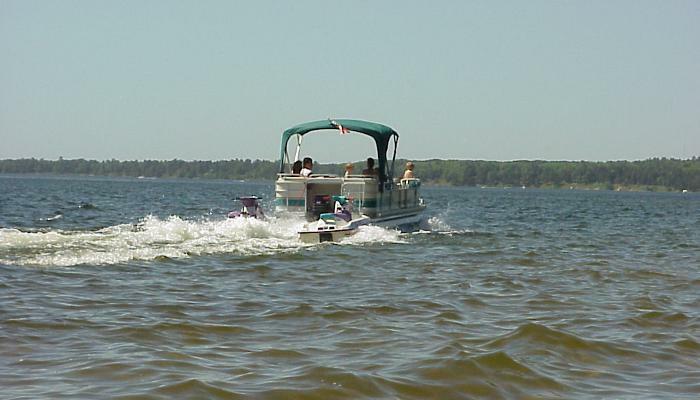 If you have three or four personal watercrafts or small boats you want to tow, you will need four TOWDSTERS. 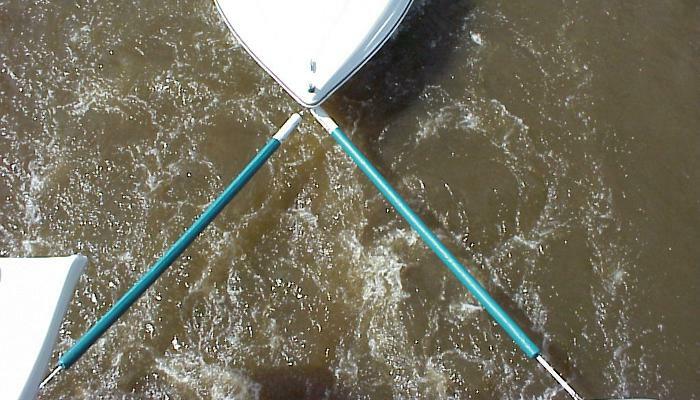 Two on each side, one hooked on right behind the other. 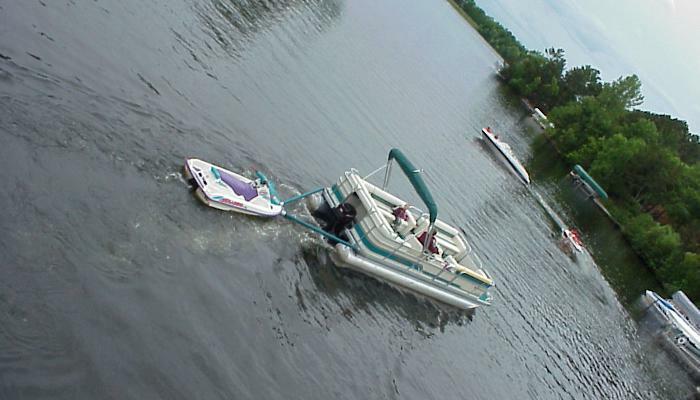 With our patented design the TOWDSTER in-water towing device will expand when you speed up and retract when you slow down or stop.